Are beef eaters doomed to an early death? A recent Harvard study, accompanied by some unduly alarmist articles in the press, found that the consumption of red meat is associated with higher mortality rates from cardiovascular disease and cancer. The study recommends substituting “healthy” protein sources such as fish, poultry, nuts, and legumes to reduce mortality. We see a number of big problems with this study. First, the study was conducted over a very long period of time (28 years for women, 22 years for men) by sending out food questionnaires every four years. Self-reporting, much less every four years, is not a reliable method of data gathering. Second, and even more importantly, the study did not differentiate between organic, grass-fed beef, and non-organic, CAFO-raised beef. As Dr. Joseph Mercola points out, the nutritive value of the each is very different! Because of the conditions and the grain-based feed used in factory farms, conventional beef may contain over twenty times the amount of omega-6 fatty acids (associated with arthritis, chronic inflammation, and cancer) than healthful omega-3 fatty acids (which help blood circulation, reduce inflammation, and strengthen the heart). By contrast, grass-fed beef typically has nearly seven times more omega-3s than omega-6s. In fact, eating moderate amounts of grass-fed beef for even four weeks will give you healthier levels of essential fats, according to a 2011 study in the British Journal of Nutrition. Healthy volunteers who ate grass-fed meat increased their blood levels of omega-3 fatty acids and decreased their level of pro-inflammatory omega-6 fatty acids. Grass-fed beef is far healthier than grain-fed beef for a number of reasons. 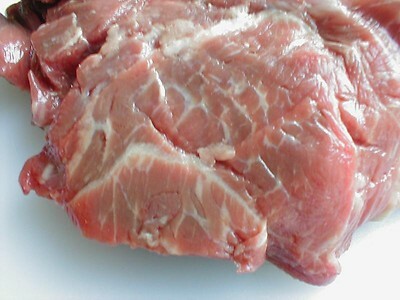 For example, it has four times the amount of complete complex vitamin E than grain-fed beef. Complete complex vitamin E deficiencies have been linked with diabetes, immune disorders, Parkinson’s disease, eye diseases, and lung and liver diseases, so eating grass-fed beef would help prevent that deficiency. And this is just one factor among many. Grass-fed beef is lower in total fat, higher in beta-carotene, thiamin, riboflavin, calcium, magnesium, and potassium, and higher in CLA, a potential cancer fighter. To make no distinction between grass-fed and grain-fed beef in the study is just absurd. But it is not unusual. Indeed, the whole thrust of USDA policy is to treat all farm commodities as identical and to deny any differences. Not surprisingly, this also reflects the views and wishes of major food producers who do not want competition from differentiated products and who look to government to outlaw claims of differences or even outlaw pricing differences. When we write about “grain-fed beef,” please understand that this is shorthand. One of the feedlot practices involves feeding cattle grain that has been laced with chicken litter, cattle blood, and restaurant leftovers—to boost the nutritive content. In the UK and Canada, the feed may be laced with meat and bone meal, blood meal, and meat scraps, and this proved to be the vector for mad cow disease: it comes from eating brain and other nerve tissues of already-infected animals. In short, if you eat meat, you’re not what you eat—you are what your food ate! A third problem with the study is the authors’ simple recommendation to “eat more fish and chicken.” In fact, a lot of seafood is contaminated with mercury, as well as carcinogenic PCBs. So eating too much fish can be hazardous to your health as well. Chickens in factory farms are also fed slaughterhouse waste. This is one of the factors believed to account for the high salmonella rate: 28.8% of eggs from chickens in factory farms have salmonella, whereas cage-free chickens’ eggs have only a 4.3% salmonella rate. The latter are also higher in vitamins and lower in cholesterol. The conventional food supply is dominated by animals raised in unhealthy conditions, and the government is creating a system that supports factory farms. You may have read about the “lean, finely textured beef”—bovine connective tissue and beef scraps, finely ground and washed in ammonium hydroxide and formed into a paste known as “pink slime” which has been used as a low-cost filler for ground beef— that is reportedly on its way out at McDonald’s, Taco Bell, and Burger King. But according to Mother Jones, the USDA plans to keep ordering pink slime for use in its National School Lunch Program, which serves low-income students. If ammonium hydroxide, a chemical also found in household cleaners, is unfit for the fast food industry, how is it safe for our school children? Fifty years ago, the USDA was an agency doing its best to make things better. How did it go so wrong? Many human populations following a natural diet—particularly hunter–gatherers—have led remarkably healthy lives feeding predominately on red meat. For example, Native Americans amazed explorers and colonists with their remarkable health even though their diet consisted mainly of animal meat, organs, and fatty parts. But that was organic, free-range, grass-fed meat, not factory farm beef. The Harvard “red meat” study was not only fatally flawed from the outset, it offered reckless (and scientifically unsound) advice.